When The Going Gets Tough, The Tough Get Towing! 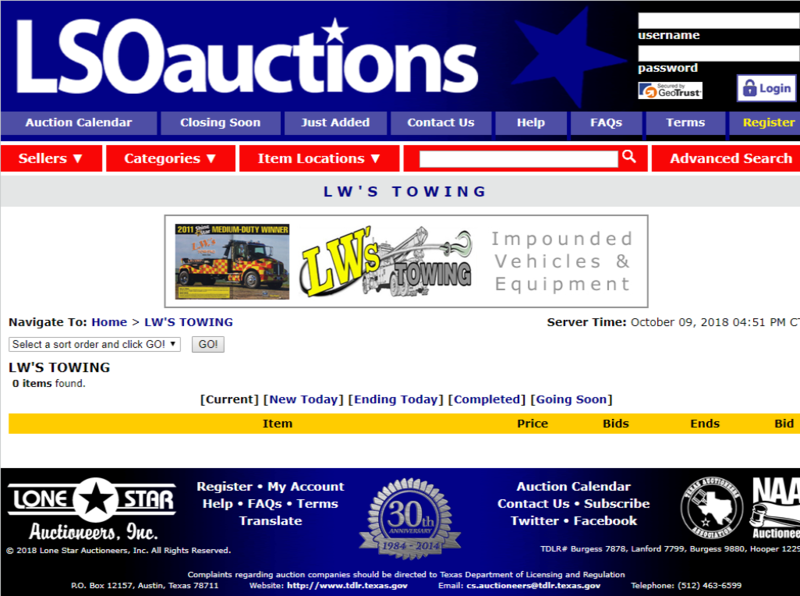 LW's Towing holds auctions roughly once every 45 days. The auctions are held on-line through our partner, Lonestar Auctioneers. You can find out more information on the vehicles, and the auction schedule by clicking the link below.